Cindy, the photo from Barcaldine is fascinating. The boy seems to be dressed in his finest clothes so I’m guessing the man is, too. I wish we could see more of the woman and the painting. Do you think that the photo was taken to send ‘Home’ to England to show how the family was prospering? I had the same impression — that it was meant for England, or even one of the big cities like Melbourne or Sydney. At first, I thought the man was showing off some sort of long bean pod, then a dead snake, and finally I realized he had the reins of the goat. I was wondering if the painting was of the boy and goat? It could be. Unfortunately, I can’t enlarge it enough to see. 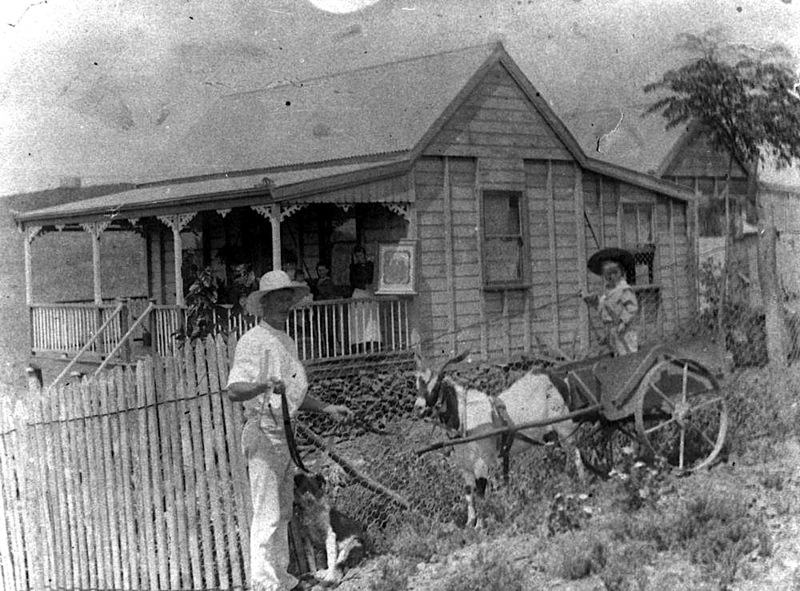 Apparently, goat cart racing was quite a fad with children in Queensland. Click on “goat” above to see an article about it today.